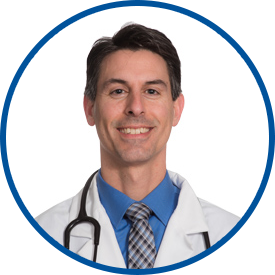 Dr. Gervasi is board certified in nephrology and internal medicine. He was awarded his medical degree at Albany Medical College in Albany, NY. He completed his internship and residency at St. Luke’s Roosevelt Hospital in New York, NY, followed by a nephrology fellowship at New York University Medical Center at Bellevue Hospital Center, Tisch Hospital and Veteran Affairs – Manhattan. He has a teaching appointment as lecturer in the Internal Medicine Residency Program at Norwalk Hospital. He has been appointed medical director of the new DaVita Dialysis Center on Main Street in Norwalk, and also serves as chairman, Patient Care Evaluation Committee, at Norwalk Hospital. Previously, Dr. Gervasi was in private practice for nephrology and internal medicine at Norwalk Medical Group since 2004. He was listed in “Top Docs”- Nephrology in Connecticut Magazine 2011-2016. In addition, he is a two-time recipient of the Teaching Attending Award from the Department of Internal Medicine, Norwalk Hospital. Among Dr. Gervasi’s professional memberships are the American Society of Nephrology, Connecticut State Medical Society and Fairfield County Medical Association. Dr. Gervasi is a kind and caring doctor. I would highly recommend him (and have). He listens and is responsive. My whole family now uses this provider. Very professional. A pleasure to deal with. Dr. Gervasi is thorough, friendly and professional. He puts patients at ease, so that information flows. He does not rush and truly listens. Dr G is concerned about the whole patient and inquired about patien's emotional state and social life. I have complete confidence in him. Best doctor I've ever had. Dr. Gervasi is one of the best doctors I've ever had....in 2015 when I was seriously ill he was with me all the way...and respected my wish to be hospitalized twice. Dr G is tops of any doctor I have contact. excellent you are lucky to have him on your team! Dr. Gervasi has been, from the first time I met him, the kind of doctor everyone should have. He is kind, considerate and most important, knowledgeable and forthright. One trusts him immediately. Couldn't ask for a better medical person. I have already brought my wife and daughter in as my caregivers patients also. *Dr. Gervasi is an outstanding doctor & human being.